From The First Steps On, Then, Every Day Together: Take A Look At Our Children's Socks. Children love to discover the world step by step, always with a playful spirit and so much love for life. They run, jump, play and never stop: this is why they need children's socks and ankle socks suitable for their daily discoveries, which are able to protect their feet assuring comfort and freedom of movement. In our collection of boy's and girl's socks, the most loved by children but also by Mummy and Daddy are the non-slip children's socks: these are socks with special rubber on the sole that allow children to run and have fun in absolute freedom without the risk of slipping and falling. In addition to being functional and extremely comfortable, these children's socks are very colourful, with patterns that are inspired by the animal world, which is so loved by every child, but also everyday life patterns, such as toys and stars. Girl's and Boy's Cotton Socks For The Everyday Life Of The Younger Ones. 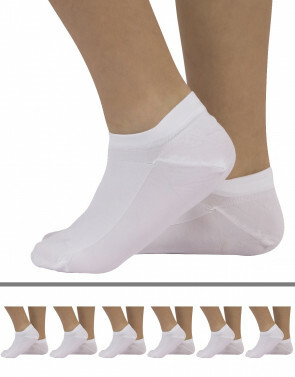 In addition to children's non-slip socks, our collection also includes the classic girl's and boy's cotton socks. Made with elastic and resistant materials, these socks for girls and boys are available in both long and short, perfect for school activities, sports or leisure. Many patterns are available: from the hearts of the girl's socks to the more gritty patterns and particular prints for boy's socks and ankle socks. In addition to these models, we also have ankle socks in cotton or microfibre, ideal also for sport and perfect to keep your feet fresh and dry even in summer. Calzitaly offers elegant girl's socks to be worn even with a pair of sandals for an important ceremony. Those proposed are embroidered socks with delicate floral motifs that are also suitable for the smaller ones; real accessories that cannot be missing from the wardrobe of every little princess! Tutti i prodotti sono in vendita online sul nostro sito in convenienti pack da 3 paia. All products are sold online on our website in convenient packs of 3 pairs. For your children choose the quality, comfort and style Made in Italy of Calzitaly every day!